We always will suggest that if you have any questions about our products or service then please simply give one of our Design Team a call. However we have tried to collate together some of the more common questions asked of us. Are Finesse Windows FENSA registered? Finesse Windows are a FENSA registered company. Upon the completion of your project we register your details with FENSA who will send your Certificate of Registration to you directly. We recommend that you retain this certificate in a safe place as they are important and are required by solicitors if you come to sell your property in the future. Our skilled fitting team work diligently to reduce any mess or inconvenience to you and your property during fitting. Our team will bring their own doormats and dustsheets and will vacuum and mess cause during the installation process. Do the Finesse Windows fitting teams use dust sheets? Yes! Our fitters are very conscientious and will always cover your floor around the installation area with dust sheets. We also cover any other items you would like us to e.g. televisions / furniture / valuable items. We cover the route we are walking into the room we are working in too – this includes covering staircases as well. In fact we also bring our own door mats – so that we don’t have to make yours dirty walking in & out of your home! We come armed with dust sheets as a matter of course – but please do just ask our fitters for more if you have any concerns – they will be happy to oblige. How fixed is a price from Finesse Windows? Do you negotiate? We strongly reject and never take part in the typical ‘double glazing’ pricing model of giving a high first price – only then to reduce the price based on fictional discounts or any other type of misleading sales techniques. We reject any type of pressure selling. Instead we always take a full survey of the requirements of every job we are invited to quote for. We price each piece of work as competitively as we can to allow for the full and correct installation. We understand that customers will always naturally strive to gain value for money and we ensure that all our processes are designed to achieve exactly that. How long is a guarantee from Finesse Windows? All Finesse Windows installations are covered by an insurance backed 10 year guarantee covered by Fairtrades Homepro. 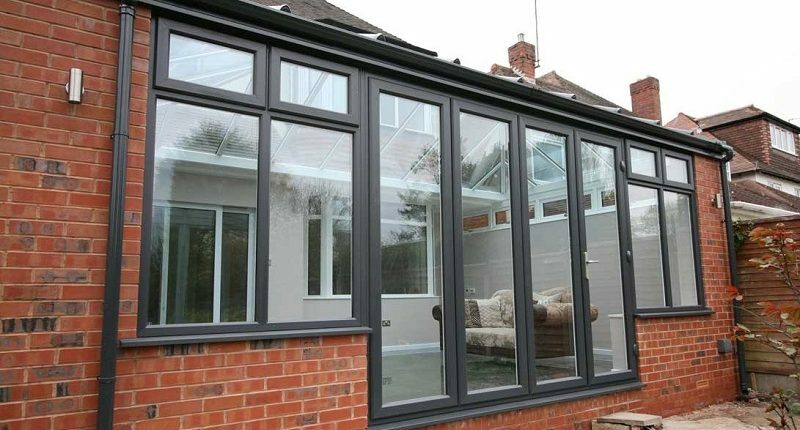 This independent insurance backed guarantee covers all parts and labour for all our window, door and conservatory installation. What is an A rated window? An ‘A rated’ window is one that is exceptionally effective at gaining free heat energy from outside and then keeping valuable heat inside your home. A window can only be classified as ‘A rated’ if it has been tested by an independent, certified organisation against energy efficiency criteria and been found to meet or surpass the specified requirements. To enable a window to be classified as ‘A rated’ its various properties are measured and the results are then accumulated into just one simple figure. The figure dictates where the window can be classified on the A to G scale in terms of its energy efficiency. An A rated window is one that achieves an excellent score on this scale. Many people mistakenly talk about ‘A rated glass’ or ‘B rated glass’. This is largely born from the fact that most people think that the energy efficiency of a window depends solely on the glass being used. This is a common misconception. There is actually no such thing as ‘A rated glass’. The testing procedure to gauge the energy efficiency of a window is designed to not only look at how effective a window is at keeping valuable heat inside your home – it is equally designed to assess how well a window can capture free heat energy from the sun. This free energy is described as solar gain (g). The solar gain factor has a large influence on the overall rating given to a window. Will Finesse Windows remove and dispose of my old windows or doors? Yes, we are able to remove all existing hardward and in the cases of replacement porches and conservatories bases should this be required. We have processes in place whereby we currently recycle almost XYZ% of project related waste. What colours are your doors available in? All of our doors are available in a large range of colours, allowing you to match the colour to that of your home’s decor, inside and out; you can even select a colour combination with one colour for the inside and a different colour for the outside. From standard colours, such as white, black and grey to the more modern on trend gun metal grey and soft natural green. We can also match to exacting colour requirements but this will have an effect on lead time and costs. Do Finesse Windows manufacture their own windows and doors? Finesse Windows are proud to manufacture our windows and doors in our Kings Norton, Birmingham factory. This single facility covers both the show area, where people can see our work in action and experience various materials and techniques to assist in making a decision of their own, and also the manufacturing area. We really do it all under one roof! There, customers can see first-hand just how much care and effort goes into every project that we undertake and even get to know the people that will be responsible for making their home improvement dreams into a reality. From our windows to our UPVC doors in Birmingham we’re proud to do every step. Where will they start first? If you are having new windows installed upstairs and downstairs we would always prefer to start on the upstairs windows first and then work our way downwards. We would always advise against fitting new windows downstairs and then ripping out windows above them – because of the danger of dirt falling downwards on to the newly fitted windows below. If you are having Roofline (fascias & soffits) installed as well as new windows – we would always try to fit the roofline first for the same reasoning as the explanation above for the windows. We will always seek to work with our clients to make sure that we follow a convenient route around their home if there is a particular requirement. e.g. If you prefer that we start in a bedroom first thing to allow you to use an office space in the morning – or if you want us to avoid a kitchen area at lunch time – just ask us and we will do our utmost to accommodate. Our quotations are very detailed, if you have any questions as to the technical information included then please do not hesitate to ring one of our Design Team who would be please to clarify any points of question. Often many visits are necessary for you to feel comfortable with your purchase. We never charge for designs if the customer doesn’t go ahead with any work – and we never charge more if we have visited you multiple times to discuss your purchase before you buy. You get to look at actual colour options, frame textures i.e. standard or with wood grain, and all the security features which make our windows stand apart from the competition. After you have agreed a contract with us, we send our technical surveyor to your home to take accurate measurements. All made from scratch at our own factory, going through 7 stages of manufacturing before being inspected by our factory manager who inspects every project before it leaves. We continually invest heavily in product development to ensure our products are thermally efficient, strong and most secure on the market. All our fitters are MTC approved which means they are capable of fitting products to meet building regulation standards, but most importantly they understand this is your home and treat it with care. We will take your old windows away and dispose of them in the most environmentally friendly and safe way possible. We want you to be 100% happy with your installation so we arrange for our Customer Care Supervisor to visit you on the day of completion or shortly after to ensure your approval. A Finesse installation gives you peace of mind of an insurance backed comprehensive 10 year guarantee which protects your consumer rights. Should you have any issues our service team will always attend to any issues within a few days and often within the same day if the issue is urgent.